Bryan Szweda has maintained a long and successful career in business with a focus on sales, coaching, mentoring, and leadership training. Along with his dedication to health, fitness, and bodybuilding, Bryan Szweda has dedicated extensive time and effort to developing his professional career. 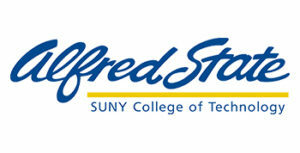 Before entering the business world, Bryan Szweda attended SUNY Alfred State in New York where he earned his Associate of Applied Science degree (AAS) in Laboratory Technology. He later attended SUNY Empire State College in Buffalo, New York to complete his Bachelor of Science degree (BS) in Technical Management. Beginning in 1996, Bryan Szweda took on his first roles in quality management working for various organizations including Habasit Globe, Harmac, and Johnson & Johnson Clinical Diagnostics. From there, he went on to become a manager and director of operations and quality management for Accellent Inc., leading policy and procedure development and utilizing lean and six sigma to gain a competitive advantage. From 2005 to 2009, Bryan Szweda worked with the Boston Scientific Corporation in Minneapolis taking on roles as the Senior Operations Quality Engineer Manager and Director of Operations for the Cardiovascular Division. More recently in 2015, Bryan Szweda has been focusing on sales and marketing in the state of California. Throughout his many roles in the business world, Bryan Szweda has completed numerous honorable accomplishments in his field. He has been recognized as a proven global leader with a natural ability to enable employee engagement to align with business success. He has developed an effective hands on approach to selling and market relationships. For three years, Bryan Szweda has also successfully developed and implemented an organizational model using lean principals that improved labor efficiency by 20%. Bryan Szweda is also responsible for leading two facility startups from the initial construction phase to the full commercial production while meeting all schedule and financial requirements.